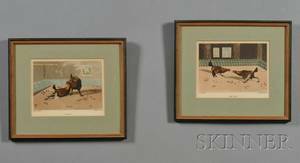 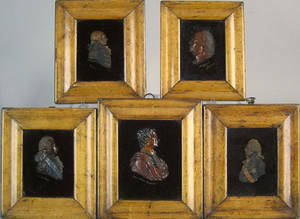 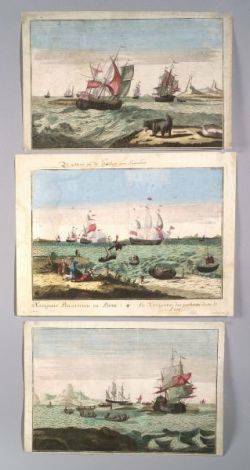 Set of 5 English military dress prints, 19th c.
Set of 5 English wax profile busts, 19th c.
Set of 6 English sporting prints. 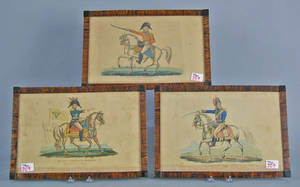 Pair of Framed French Military Soldier Prints. 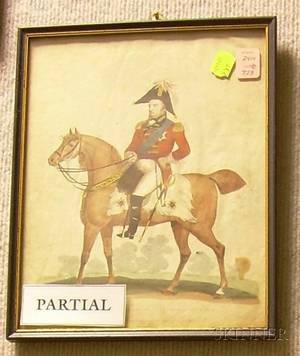 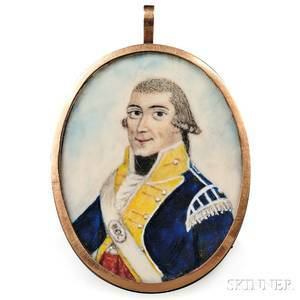 English School Late 18th Century Two Portrait Miniatures of an English Military Officer and His Wife.